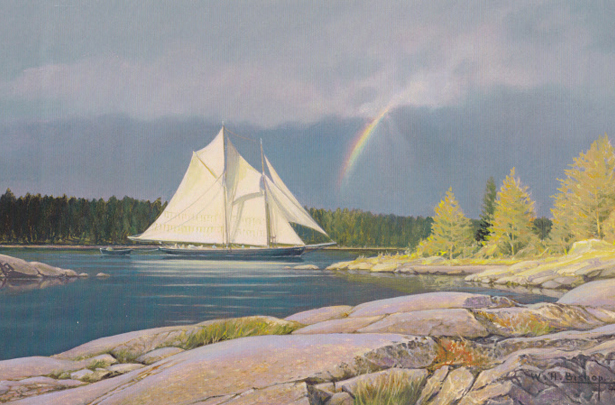 A fishing schooner off the coast of Maine USA. A typical fishing schooner of the area picking her way through the rocky channels. Inspired by a sailing trip from Boston up to Rockland, Maine, including a wonderful visit to the little harbour of Pulpit where the leading mark for entry is a huge Osprey’s nest on a rock. We then watched them skimming up and down the harbour fishing in wonderful evening light.